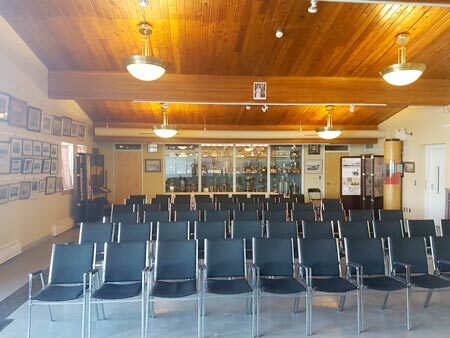 Our beautiful museum is now available for rent for functions. This unique venue boasts a beautiful view, large patio deck and lots of history! Catering is available for all types of events. From healthy lunches, three-course dinners, or a la carte breakfast, we have you covered. Our museum has a capacity of 60 seated or 110 standing. large patio deck and lots of history! This unique venue boasts a beautiful view, large patio deck and lots of history!